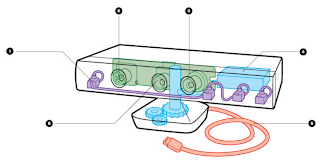 This post provides the geometrical parameters of the MS Kinect microphone array that are necessary if you want to do acoustic beamforming from the 4 channels without using the Microsoft SDK (for example if you are using Linux or libfreenect or OpenNI). 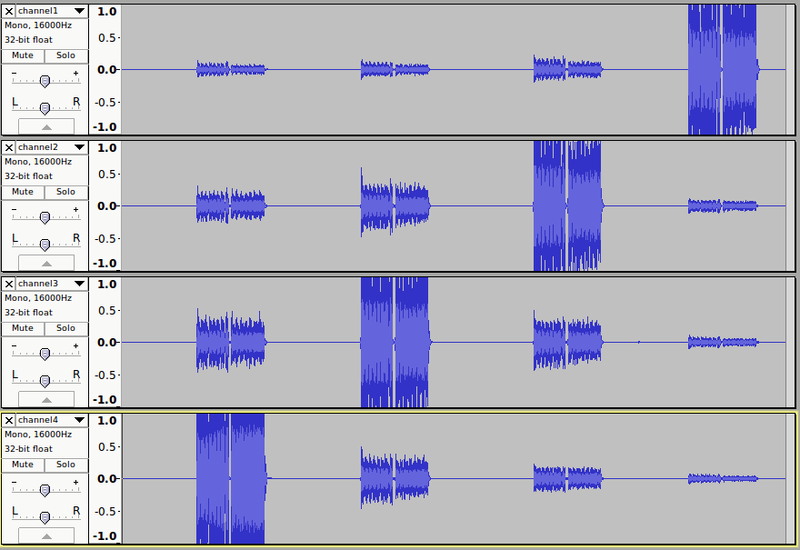 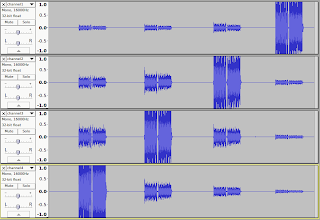 As you can see, the microphones are not spaced at regular intervals. 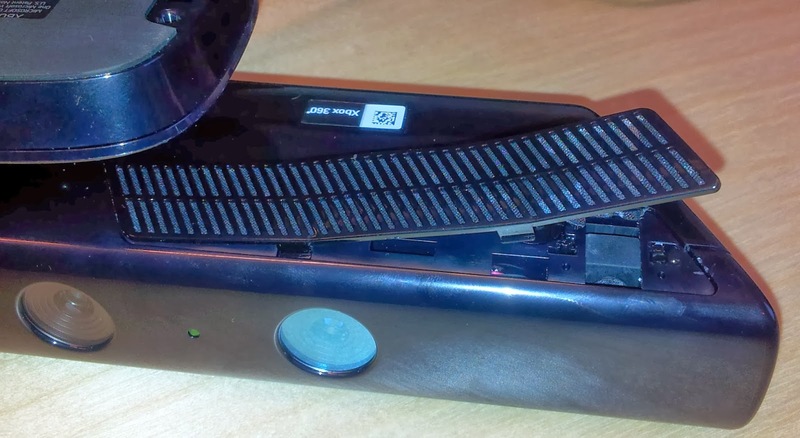 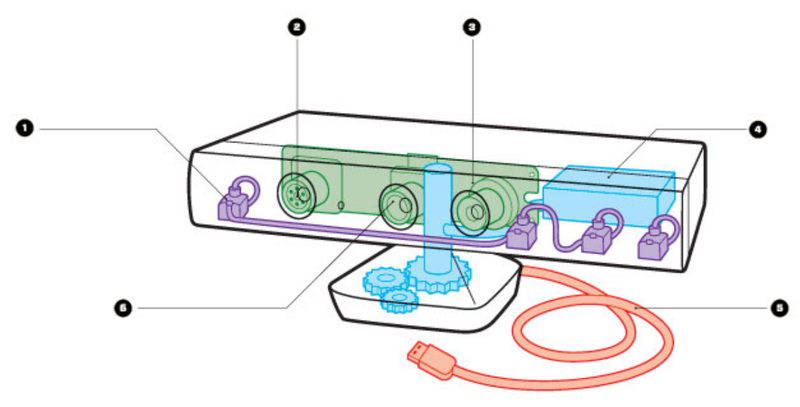 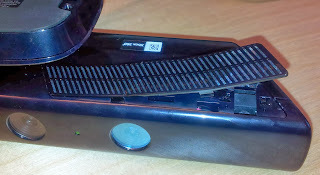 It is possible to see the exact position of the microphones without disassembling the Kinect by simply opening the plastic covers at the bottom of the device with a flat screwdriver (see next pictures).